I do have to say that I already have 2 Slow Cookers that I use regularly, and my big 6.5 Litre one gets used a lot for soups and bigger things. Crock-Pot offered me one of theirs to try, and I accepted the small 3.5 Litre one from them as I wasn’t satisfied with the small slow cooker that I already owned. My large (but aging) one is too big for smaller stews, rice puddings and things for the kids. I had bought a cheap 3.5 Litre Slowcooker and the setting had to be on high all the time. Using the low setting simply left me with a pile of uncooked mush at the end of 8 hours, so it’s no use whatsoever for dishes I might want done in 4 or 5 hours. I’ve had my new Crock-Pot for a little while now. I’ve cooked a couple of things in it, and I am really glad I did accept it, so thank you Crock-Pot. The one I’ve been sent comes with a selection of recipes to kick start your home cuisine, expertly marrying ingredients to make sure your dish tastes as good as it smells. Once the ingredients are chopped up and in the pot, they’ll gently simmer away on either a low or high heat setting while you get on with your day, producing a delicious dish for you to settle down to when you’re ready. 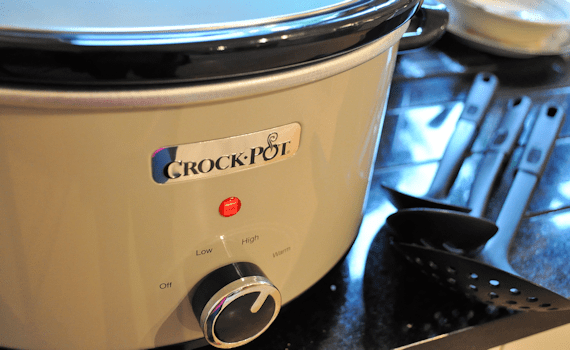 As with every Crock-Pot®, cooking in the pot means nutrients are kept within the dish, intense flavours are locked in and you’ll use less electricity than conventional cooking. 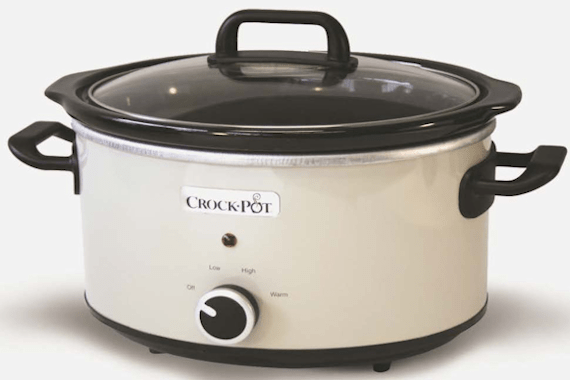 The Crock-Pot® New Design range is available from June and can be found at Amazon.co.uk, RRP £34.99. For more information on Crock-Pot visit www.crockpot.co.uk. 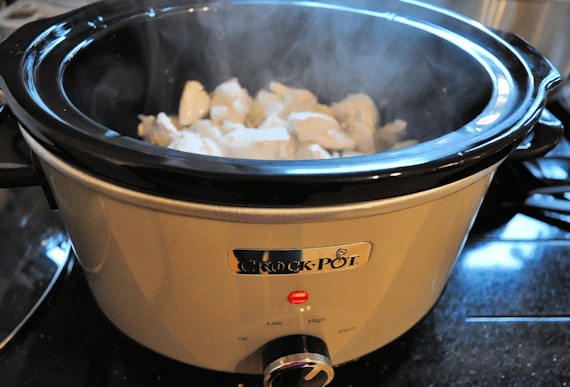 Although the box says the Crock-Pot is for 2 – 3 persons, it easily makes the main part of a meal for 6 people if you are not filling it up with both vegetables and potatoes as well. 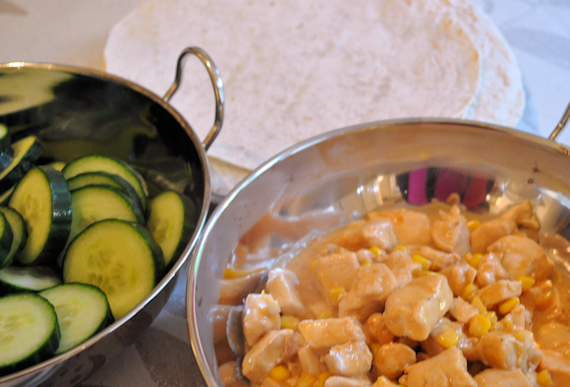 It did a fantastic job of slow cooking my sweet and sour chicken for using with wraps. The chicken was absolutely delicious. The pot looks great, and although it comes in a darker shade of cream than I was expecting, it’s a lovely shade and blends in nicely with my cream colour kitchen units. There are also other colours available, and you can choose from Red, Blue or Cream. 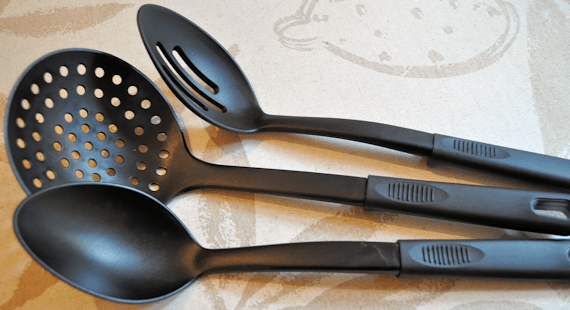 The pot is easy to clean, and along with the cooking instructions, there is a set of utensils for using with the Crock-Pot, which I thought was a nice touch. Here’s my pot in action. Thank you Crock-Pot, this is one new household item that is going to be well used in the Scottish Mum Home. heh just an interesting review ! THank you.